We'll Plan You Two the Perfect Honeymoon! Honeymoons are our favorite trips to plan! We're married and love exploring the world together and think traveling together is a great way to bond and make lasting memories. Though we ourselves have varying interests, we keep our trips fun for both of us and we love sharing our expertise with other couples. Honeymoons are very special occasions, and we have 3 examples below to help you two pick the perfect level of adventure! You can also read a little bit more about why you should consider a surprise honeymoon in our recent blog post here. For an adventurous couple on a set budget, we recommend choosing one of our surprise vacation packages. We have packages up to 14 days long with options to stay in the US or travel internationally. We'll plan you a romantic surprise honeymoon without breaking the bank! 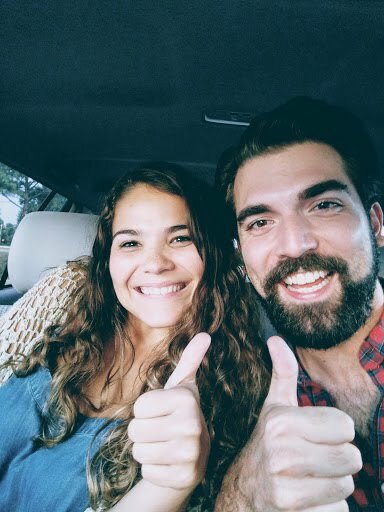 As an example, we sent Catie and Caleb on a week-long surprise honeymoon to New Orleans, where they stayed at the beautiful & romantic Whitney Hotel, explored the French Quarter and got up close and personal with some alligators! If a surprise honeymoon sounds fun, and you have some special requests, like an adults-only resort, luxury hotels, specific destination preferences, or would like to visit multiple destinations, we'll design you a custom vacation package! Jonathan and Heather wanted a unique, adults-only resort with great food, and a beautiful secluded beach. We found them the perfect spot, and sent them on a wonderful surprise honeymoon! 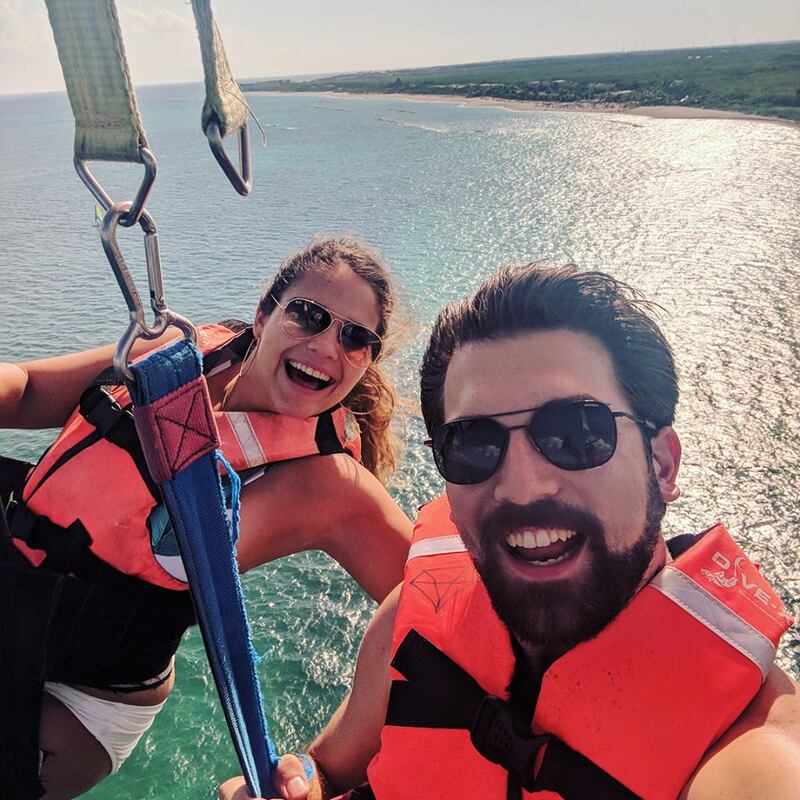 They were picked up by limo from the airport and whisked to their boutique resort in the Riviera Maya, where they enjoyed cooked-to-order meals and went parasailing over the clear blue waters and the white sand beach! We know surprise honeymoons aren't for everyone, but maybe you're still having trouble deciding where you want to go or what you want to do? We'll use our expertise to help you pick a destination that will excite both of you, and then plan as many activities as you two want. Liz & Jared definitely wanted to go to Italy for their honeymoon, but were a bit overwhelmed by all the options available. We planned them a wonderful and romantic honeymoon where they explored the sights and flavors of Rome, then stayed in a gorgeous Tuscan villa. They explored the world famous Colosseum, went horseback riding through Tuscan vineyards and went truffle hunting with the cutest dogs! Let's get started planning your fabulous honeymoon by filling out our trip survey!